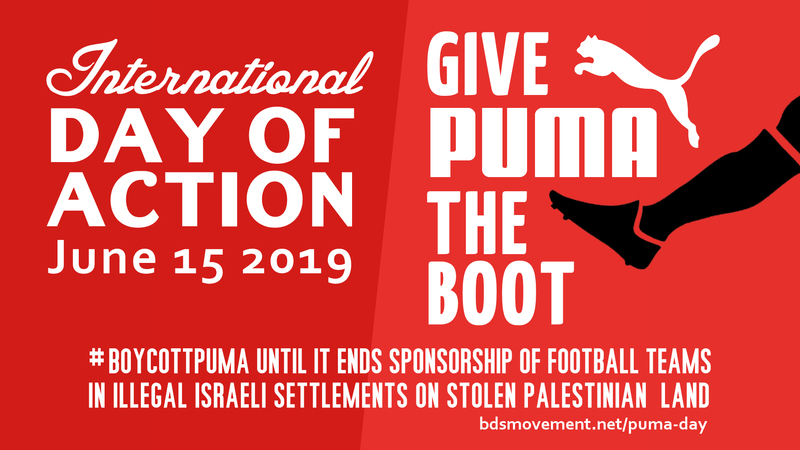 Today, 6 April 2019, RCIR joins PSC and PACBI to launch the international campaign to boycott Puma until Puma stops sponsorship of the Israeli Football Association. 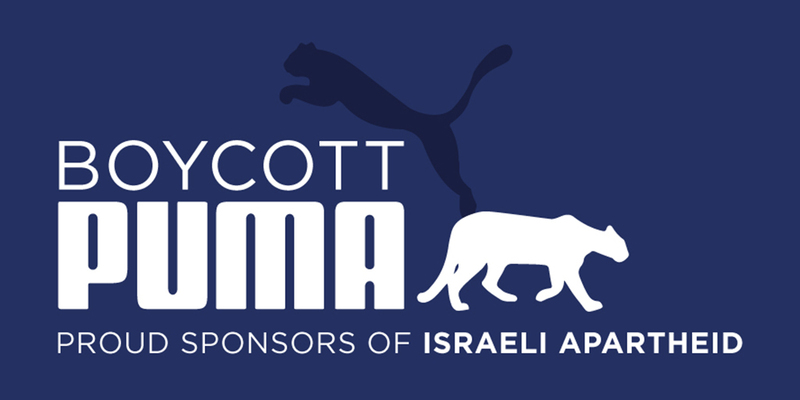 This follows the call by over 200 Palestinian sports clubs to Puma to ditch its support for the Israeli Football Association. The a call which has been rejected. The campaign’s strategy is twofold: (a) to call on football clubs that are sponsored by PUMA to drop that sponsorship, and (b) to appeal to the general public to boycott PUMA in retail outlets. UK Action has already started with leafleting at a major store in Manchester on 13 April – see separate post. The first UK Puma-sponsored clubs to be targeted are Newcastle, whose contract expires soon, and Cambridge United. Others like Arsenal and Manchester City stand in line. The aim is also to involve local sports associations, popular sports teams, fan clubs and anti-racist tournaments and to bring sports themes into general protests with livestream actions on social media. WORK UP TO THE GLOBAL DAY OF ACTION ON 15 JUNE 2019. Get creative. Organize a mock football match or sporting event at a Puma shop. Use Puma’s store locatorto find Puma branded shops in your city, and there are others such as Sports Direct who market Puma kit.